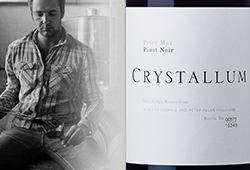 Included in their selection of 8 wines is one South African wine – the Crystallum Peter Max Pinot Noir from Walker Bay. 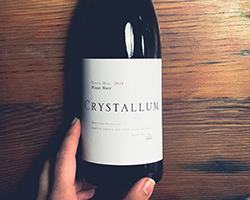 ‘Those looking for an earthy, black tea taste should try Crystallum Peter Max Pinot Noir,’ they say, ‘it’s a red wine that also packs a slight cherry punch to it.’ According to the somms, it showcases how some varieties, like Pinot Noir, ‘ripen to perfection in cooler climates since they are able to stay on the vine longer’. The other 7 wines on their list are from the Corsica region in France, the Delezay region in Switzerland, the Finger Lakes region in New York, the Barossa Valley, Portugal, Greece and Spain. Read the full article. 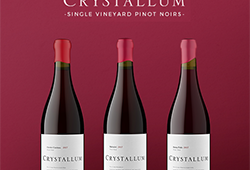 Find all the Crystallum wines on our website, including the new-release 2018 Peter Max which we think is exceptional!